The location was on Capitol Hill in Washington DC. The "Take It!" 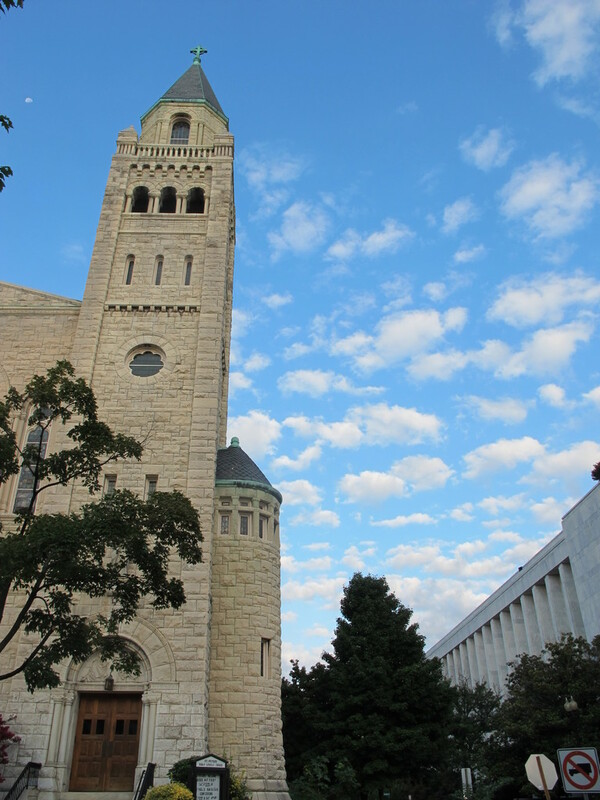 came from seeing the clarity of the sky with the bell tower of the church pointing skyward and being just in the front of an advancing group of clouds. What I did not really pay any attention to was the partial view of the back of a very important Government Building in the background. This building houses some of the functions of the Library of Congress. I was fortunate enough to have gone inside this building several times. Once for a rare display of an original copy of the Emancipation Proclamation which they brought out for the public to view for just a few days on one of its anniversaries a number of years ago. The other occasion was to apply for and eventually obtain a copywrite on a small piece of work that I created that was to honor my Eye Surgeon. The cloud cover got more full as the morning moved along thus my second photo with the sky filled with many small clouds with all their intriguing shapes. The After Take: Most seemed to enjoy the peacefulness the photo of the church seemed to portray. 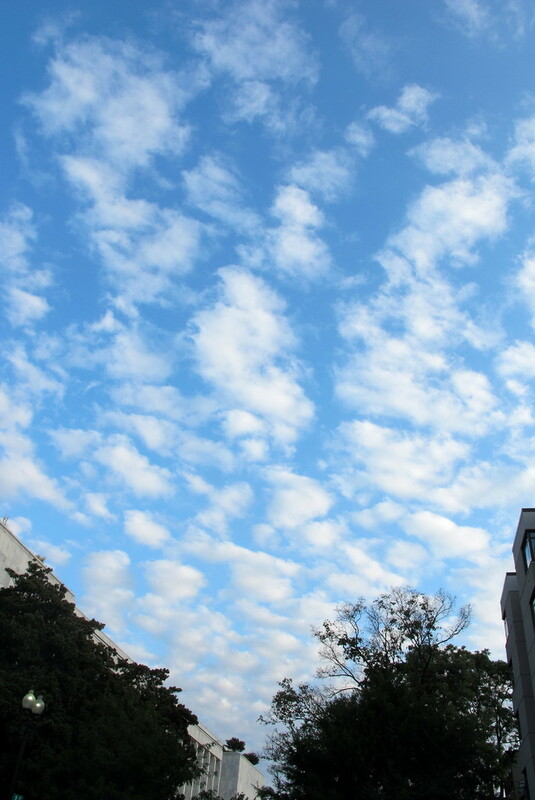 The clouds are always welcomed, it seems everyone is ready for a moment with the clouds. Here is hoping occasion brings you a cloud show soon, and you will take a few moments to savor it. PS: My Ophthalmologist was quite taken with the little thank you album I put together for him, especially when I told him the original could be found in the Library of Congress. Ah yes, the juxtaposition of two opposing entities. Cool shot. Pretty good looking day outside. Theres a lot that can be said about the peacefulness of the church vs the chaos of the other side at the moment. Good one, I like the idea and execution of it! Thank you for your kind comments on this photo. Fortunately there are many opportunities available to capture visual contrast between the buildings in which Govt is doing its things with either a dash of nature or even another structure that is totally dedicated to something different. Very best wishes.